Chris Lombardi is the vice president of European Business Development at Raytheon. At the signing ceremony of the Washington Treaty on April 1, 1949, U.S. President Harry S. Truman described the new pact as a way “to establish freedom from aggression and from the use of force in the North Atlantic Community.” Today, those words ring just as true. The world is complex and daunting with new threats, reinforcing the need for the transatlantic alliance that has kept us safe all these years. The U.S. and its allies must continue to invest in cyber-defences, multi-layered air defence and early-warning systems as we face multiple dangers. Collaboration and interoperability between allies, industry, and partners is essential for our collective defence. 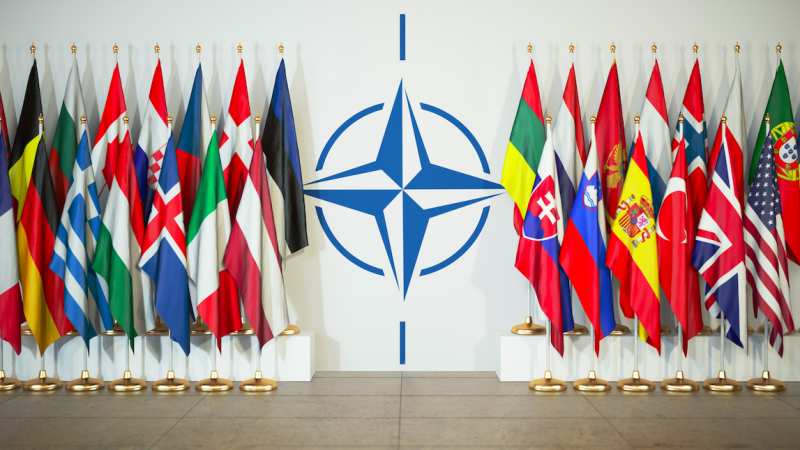 This has been a theme in recent years, not just within NATO, but also inside the European Union, which is developing its own operational competences. The EU’s recent efforts to improve cooperation among defence industries and promote investments in early-stage research will only benefit security. Echoing sentiment from the NATO Summit in Brussels, a stronger Europe will lead to a stronger NATO. The launch of the European Defence Action Plan, the European Defence Fund, and Permanent Structured Cooperation indicate that EU policymakers are prioritising innovation and the development of critical capabilities. In the U.S., the National Security Strategy, the updates to the Conventional Arms Transfer policy, and Foreign Investment Risk Review Modernization Act all move towards smarter defence. These efforts all tie into long term NATO priorities. At the 2014 NATO Summit in Wales, leaders agreed to two targets. Their pledge to spend 2 percent of GDP on defence is well known, but the second target is also important: spending 20 percent of that amount on investment. EU defence policy should foster transatlantic cooperation in defence technologies. The EU should share more industrial arrangements, ensure reciprocal open and accessible defence and security markets, collaborate in standards and certification, and promote the best available technologies – regardless of their origins. This is, after all, the stated aim of the recent EU initiatives on defence: to avoid duplication and ensure compatibility. Europe and the U.S. have shared defence and security interests. Both have strong and advanced defence technology and industry bases. They should do what they can to facilitate, co-fund, and boost research and development in defence, and build a common defence market. Raytheon’s partnership with Germany’s Rheinmetall is an example of how transatlantic cooperation improves capabilities for NATO allies. Our two companies signed a partnership agreement based on five pillars: air defence, vehicle systems, simulation and training, weapons and ammunition, and cyber defence. Rheinmetall provides a mix of cannons, missiles and, in the future, high-energy lasers for short and close-range protection. Raytheon provides the Patriot Next Generation Air and Missile Defence System for air protection. With combined defence capabilities, the development of more effective air defence systems for German forces will be a logical next step. Our company and Rheinmetall have also joined forces to meet the U.S. Army’s requirement for a Next-Generation Combat Vehicle, or NGCV for short. Equipped with Raytheon weapons, sensors and system integration expertise, Rheinmetall’s Lynx Infantry Fighting Vehicle is an advanced, modular and combat-ready solution that will give soldiers a decisive advantage for decades to come. 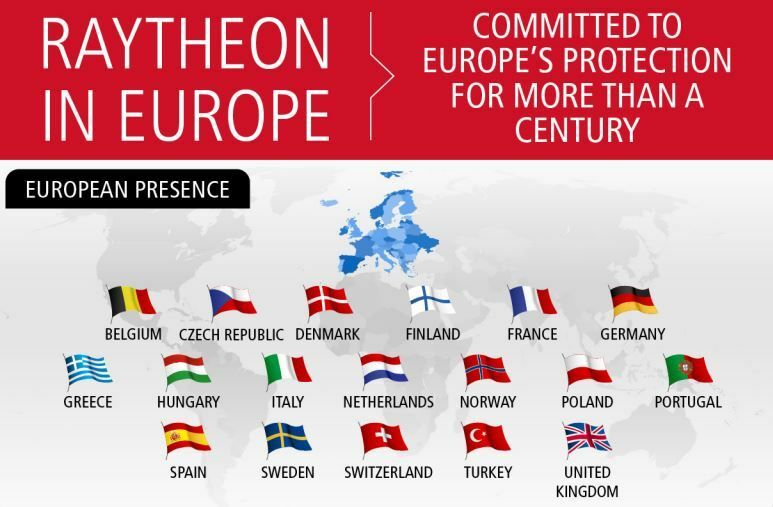 But Raytheon’s partnerships extend far beyond Germany. Two-thirds of our global partners are located across Europe, driving local innovation and creating jobs. The company also partners with European companies on projects back in the U.S., such as collaborating with Norway’s Kongsberg on the development of advanced defence systems that protect the U.S. capital. On the day NATO was born in April 1949, President Truman touted the new treaty as permission to move forward with building a stronger government and society so that all citizens could lead happier and fuller lives. This is what today’s common outlook on defence does for Europe and America. If we can keep these deep defence industry ties across the Atlantic, then we can carry forward President Truman’s resolve for fuller and happier lives for our citizens.